Germany beat Finland 2-0 in a low-key friendly which marked the final international appearance for Bastian Schweinsteiger. The Manchester United midfielder played 67 minutes of a game designated his testimonial before leaving the field to a standing ovation after picking up the 121st and last cap of his career. Max Meyer and a Paulus Arajuuri own goal ensured the final scoreline in front of just over 30,000 fans with the world champions unable to make more of their chances and just going through the motions at times. They will be in a more serious mood at the weekend, though, when they travel to Norway for their first 2018 World Cup qualifier. All eyes were on Schweinsteiger as he wiped away the tears when presented with flowers after leading Germany out for the last time. Meyer and Mario Gotze tried to steal the show, though, with some excellent combinations creating several opportunities for the hosts, although neither were able to supply a finish. Karim Bellarabi was also wayward with his shooting as a defensive Finland kept a clean sheet in the first half, frustrating their hosts. Meyer finally broke the deadlock 10 minutes into the second half when Gotze's low cross was intentionally left by Kevin Volland for the Schalke youngster to score from close range. Midway through the second half, the moment came when Schweinsteiger left the field for the last time wearing a Germany shirt. He left with a huge smile on his face, complimented by his team-mates and all the coaching staff on the bench, and repeated chants of his name from the fans inside the Borussia Park. The attention only slowly turned back to the action on the field, where an own goal from Arajuuri added put more of a realistic look to the scoreline with Gotze again the provider, teeing up Mesut Ozil whose cross deflected in off the Finland defender. That was enough for the victory and, at such an early stage of the season and with a more important fixture to prepare for at the weekend, the pace of the game dropped dramatically as the clock ticked down. 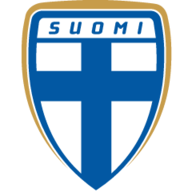 Finland allowed Germany to play the ball around without letting them make any progress and neither of the two sides seemed particularly keen on playing the three minutes of stoppage time. 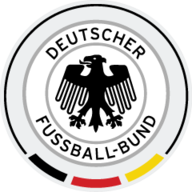 The evening had been all about bidding farewell to Schweinsteiger, and Germany did that with a reversal of the 2-0 defeat to Hungary on his debut in June 2004.